In French, the /n/ at the end of words like ‘garcon,’ ‘mon,’ and ‘Americain’ is typically unpronounced. Instead, the vowel before ‘n’ is nasalized, while dropping ‘n’ itself. Nasal vowels are used in English as well, albeit in a much more run-of-the-mill way. 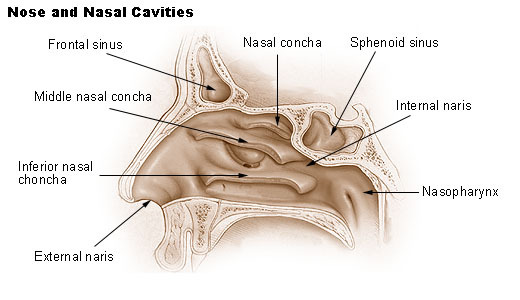 They occur before nasal consonants, as in ‘man,’ ‘can‘t,’ or ‘then.’ Few of us notice this nasality, unless we’re listening very carefully, because it’s uncommon in English that nasal consonants are dropped entirely, a la French. There are some situations, even in more mainstream accents of English, where nasal vowels can entirely supercede an /n/ or /m/. For example, many people pronounced the word ‘can’t’ without really fully articulating the /n/, and the word ’embalm’ without the /m/. These are rather mundane observations, though. Because the following consonant in each word is in the same place of articulation as the preceding nasal, most of us barely notice the difference between ‘can’t’ with a full-on /n/ and ‘can’t’ with only a nasal vowel. But for the most part, there are few varieties of English that ‘go the French route,’ and drop nasal consonants entirely. Are there any others that come to mind? *When people think of Classical Latin, they usually imagine it being pronounced similarly to the Liturgical Latin of the Catholic Church. In reality, Classical Latin, with its unstressed long vowels and nasality, would probably sound very strange to most modern ears. This entry was posted in English Phonetics and tagged African American Vernacular English (AAVE), American Southern Accents. Bookmark the permalink. One of the things I’ve noticed in the speech of Carolinians, black and white, is that they often say something like [amõ] or [amo] for I’m going to. It can be sort of like how they say I love south of the border. Cockney also does what you describe, according to John Wells. I almost mentioned Cockney, actually, because due to glottal stopping, words like ‘can’t’ can be pronounced without any alveolar contact at all! What about the markedly nasal vowels of the Great Lakes region (Chicago, Michigan, Buffalo, Rochester etc.)? Where a short “a,” is in the word “bat,” gets flattened until it comes out sounding like “yat” with a “b” in front of it. I belive that has to do with /æ/ tensing , not to say additional nasality may not be an addition to the tensing that occurs in that accent. Funny, when I think of Classical Latin, I tend to figure it sounds like a mix of Italian and Portuguese, especially since I heard about the nasalizing of words ending in -um (apparently, careful study of poetic rhyme has shown that most Roman speakers of Latin probably used a nasalized vowel at the end of words ending in -um). So I think of it as something with the rhythms of Italian, and the vowels of Portuguese. Slightly OT, but what I would probably find most salient about Classical Latin (if I had a time machine) would be its lack of correspondence between long vowels and stressed syllables. Take the word Italiam (I’ll admit I’m cribbing from Wikipedia here). The second syllable is stressed, but also the only SHORT vowel in the word. It would have given the language a complex rhythm and prosody quite different than that of most modern Romance languages. There are at least three different kinds of nasalization. The first is purely mechanical and occurs when the brain doesn’t co-ordinate the opening of the velum perfectly with any other articulators. The second is deliberate (i.e. 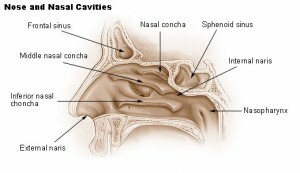 the brain commands the articulators to make a nasal sound) but allophonic. Most dialects of English don’t have any nasal phonemes (like, for example, French). My own dialect (near to RP) doesn’t, I think, have any of the second type either. One noticeable difference between RP and most North American accents is the much higher degree of pre-nasal allophony in the latter. Example include raising of the TRAP/BATH vowel before /n/ (e..g “man” = [mẽə̃n] or even [mĩə̃n]), the PIN/PEN merger, and tensing of the -ing words (I’m aware that not all North American accents have all of these features). It’s true, I can’t think of any dialect of English with truly phonemic nasal vowels. Although for accents with the tense-lax split (NYC, Philadelphia), the degree of nasality arguably corresponds to the degree of tenseness in pre-nasal /æ/. I would not be surprised if some New Yorkers, for example, nasalize the ‘a’ in ‘can’ (as in the metal container), but don’t nasalize it in ‘can’ (as in ‘I can’). If what you say is true, then I wonder if there is some connection between the lack of nasal “coloring” (nasalization, raising, diphthongization) in Manning and the lack of “R-coloring” in marry in New York City. Is the a in the first syllable in both words? I’m just thinking out loud here. Some minimal pairs of my dialect that only differ in the nasal vowel as far as I can tell without recording and analyzing myself. but for at-ant i have [aʔ]-[ẽə̃ʔ] and its more the diphthong that makes the difference for me. the nasalization remains allophonic.